One-hour special split into 2 episodes during the airing of Pokemon Best Wishes! 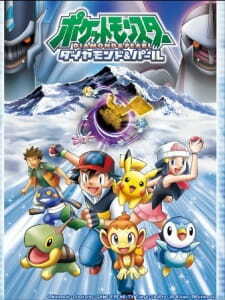 featuring the old characters from the Diamond & Pearl series Hikari and Takeshi with their Pokemon. So there is no Dub for this?